Since the last progress report, I’ve been pretty busy with writing new stuff! None since the last time. “Mater Semper Certa Est” and “Gens Una Sumus” have both been completed at this point. 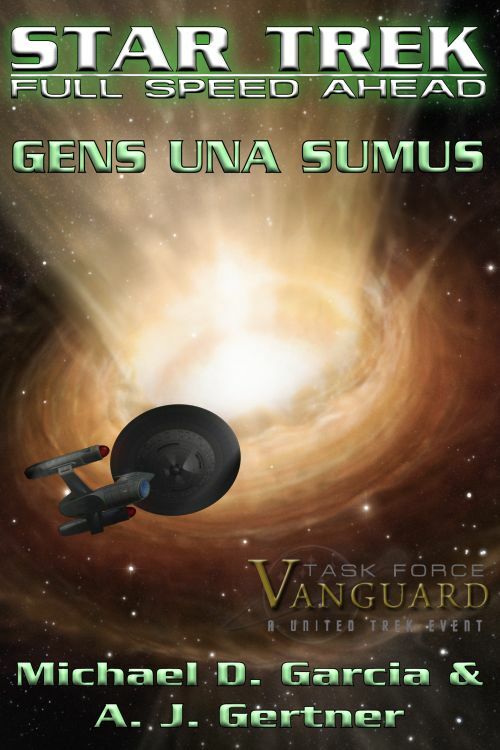 “Gens” is our third and final entry in the United Trek event, Task Force Vanguard. That essentially completes our trilogy contribution to that shared universe. To review, “Mater” follows three generations of the Leone family (Angelina, Krystine, and Dominic) as they work together in their various capacities within Starfleet. The story opens with the marriage of newly-promoted Captain Jesse Kincaid to his longtime beau, Counselor Isira Otex. As they had buried the hatchet, Krystine and Dominic are in attendance along with a majority of the old Farragut crew. When Fleet Admiral Nechayev (whom Krystine refers to as “Aunt Alynna”) arrives with her mother, retired Vice Admiral Angelina Leone, she is informed that her promotion to a full Rear Admiralty as been confirmed and the Council would vote on her promotion in the morning. In addition to her promotion, however, she is being reassigned to the Ministry of Defense. It seems that in the years following the Dominion War and the recent entanglements with the Cardassians prior to the founding of the League of Sovereign Colonies (detailed in “The Chains of Error“), Starfleet’s resources are spread very thin. Member worlds such as Betazed, Trill, and Andor are feeling the lack of coverage from the Border Service due to the destruction of ships and the loss of many qualified officers. Krystine is being sent to Betazed to assess the situation and come up with a solution, and Colonel Andrus Otex (Isira’s older brother) is joining her to help represent Starfleet. Captain Abigail Atherton and her husband, Commander Greg Aspinall, are conveying them both aboard USS Indefatigable. Meanwhile, Angelina’s commission as a Starfleet officer has been reactivated and she has been assigned to assist at Starfleet Intelligence on a temporary basis. Her assignment focuses on equipment and personnel procurement for Task Force Vanguard and makes a decision to have her grandson, Dominic, transferred from his current Delta Quadrant-bound ship to her office as her new Flag Lieutenant. Her motive is steeped in protecting him from a dangerous assignment as she sees herself as his guardian while his mother is in the field. Dominic, on the other hand, fights his grandmother tooth and nail to stay aboard his ship. Now, with “Gens Una Sumus,” we will actually be going into the Delta Quadrant, rather than talking about all the preparation going into Vanguard. We open with C.J. from the end of “To Triumph and Not to Mourn,” where she is getting Gallant ready for the trip to Starbase Bastion with the main fleet (including USS Europa from Star Trek: Gibraltar). In the Vanguard chronology, “Gens” takes place in the middle of Gibraltar’s “At the Gates.” Shortly after, she finds herself on patrol and receives her promotion to Commander (from “To Triumph”) and is reassigned to the Ambassador-class USS Adelphi. Adelphi‘s mission is to investigate the wormhole introduced in “At the Gates” and revealed via subspace during the epilogue in “To Triumph.” Their investigation is interrupted by the entry of three Romulan warbirds on a Tal Shiar mission. We will also see the story from the Romulan perspective, as we follow the first officer of the warbirds as they meet Adelphi. Given that the mission is highly-classified, he is worried that the Tal Shiar will jeopardize the fragile alliance forged at the end of the Dominion War. But, what he doesn’t count on is the reaction of Adelphi‘s commanding officer when she sees the three ships suddenly appear before them. I’m especially proud of the work we’ve done within both stories, as we’ve tried our best to weave deep character stories amid the conflict that comes with the missions these ships are embarked upon. Just as soon as we’re done with the beta read phase, we’ll be posting them to the archive. Next up is “Ubi Bene Ibi Domo,” which is going to cover the period of time right after “Gens” and before the first of our upcoming Indefatigable trilogy. It will involve C.J. as she visits her adoptive homeworld, Beta Zeta VI (ch’Rihan Mhei), following the Betazoids granting it to the House of Tei. We will get to see how they’re progressing after taking custody nearly a year prior, dealing with piracy, supply shipments, etc. Our B-plot will involve Starfleet Academy after the war as Icheb works through the courses in order to attain his commission as a Starfleet officer. We intend to see our favorite Brunali dealing with life as a midshipman and we’re looking to have fun while also tying his work into a later story. As for the Indie trilogy… after writing “Mater,” we realized that we had quite a bit of fun putting Indie‘s crew together that we wanted to tell more stories involving that group of people. 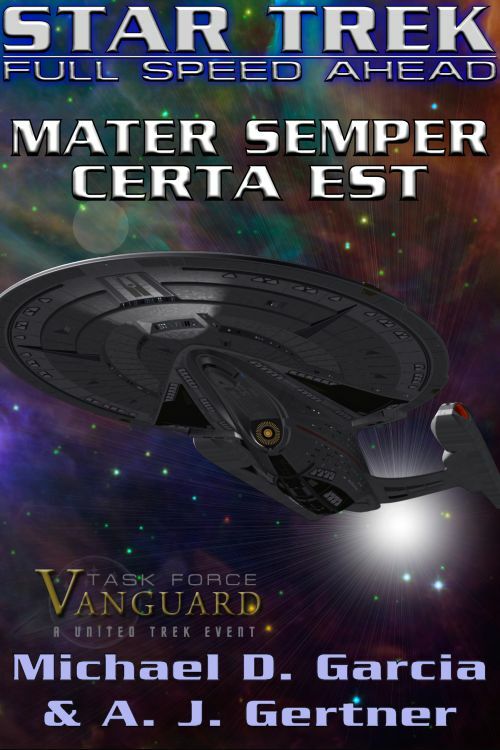 Chronologically, the first two Indie stories will precede “Stet Fortuna Domus,” which will wrap up the corresponding United Trek event: Refugee Crisis. AJ and I are honored that we’ve been entrusted with the end story of such a big buildup with the Kothlis’Ka armada currently storming toward Romulan space. Right now, we’re plotting out “Ubi” but we’ve already finished plotting the first Indie story. We have the other two with some excellent summary treatments and list of possible scenes. Well, in spite of the travel and the last part of my work travel being pretty busy… we managed to get a lot done. And the forward motion is continuing as we’re working on the next novel.